CA Drillers is a specialist diamond sawing contractor offering a wide range of diamond cutting and drilling services in London, Kent and its surrounds. 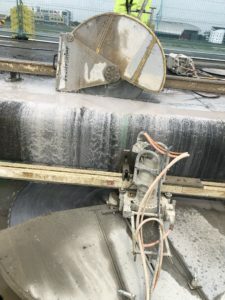 Diamond sawing is one of the cleanest and most accurate methods to make to cut through concrete, masonry and any other building material for various applications or purposes. 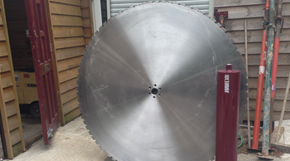 Today, diamond saw blades are an essential tool for the construction industry. Guided by a track, a diamond saw blade is anchored to the structure that needs to be cut or drilled through. Since our establishment in 1981, our diamond sawing professionals, fully-trained and certified, have been assisting construction businesses to overcome their day to day challenges. Here at CA Drillers, we use the latest technology and equipment to ensure the job is done in most effective and efficient manner. Our diamond sawing professionals are capable of creating the right kind of openings or cuts required for your building project. We know how to perform our job speedily, precisely and of course safely. Our diamond sawing services are ideal for creating openings for pipework, life, doors, windows and has a lot of other applications for construction projects. Floor saws are typically used to cut horizontal flat surfaces including pavements, roads, runways, bridges, car parks and concrete floor slabs. The method is preferred over its traditional counterparts when fast pace, cutting is required to make large openings. Our noise-free and fume-free floor saws can cut through virtually any material up to 500mm in depth. Track saws are the quickest, cleanest and most precise method to cut openings in walls, floors for fitting doors and windows. Our track saws can cut thorough reinforced concrete and masonry structures, where confined space is a big challenge. When structures are more complex in design and in the case when a track saw fails to ensure cutting to the desired depth, wire sawing makes the best choice. Wire sawing is typically used to extract large sections through complex and thick structures like columns, beams and bridges. The dynamic and fast cutting can efficiently cut through heavily reinforced concrete. Our handheld diamond ring and chain saws make an ideal fit for precision cutting work in indoor spaces, or in sites with confined space. These saws are also commonly used in demolition projects due to their compact size and accurate cutting into walls, floors or any other structure. Deep sawing is commonly used in pavement repair work and to create a provision of expansion joints. In this method, special diamond saw blades are used to remove specific concrete sections for repair or demolition projects. Get in touch with the leading diamond sawing London & Kent company, give us a call on 08009750891.